Being Human is Harder than it Seems! He is also available for sessions by phone or skype. 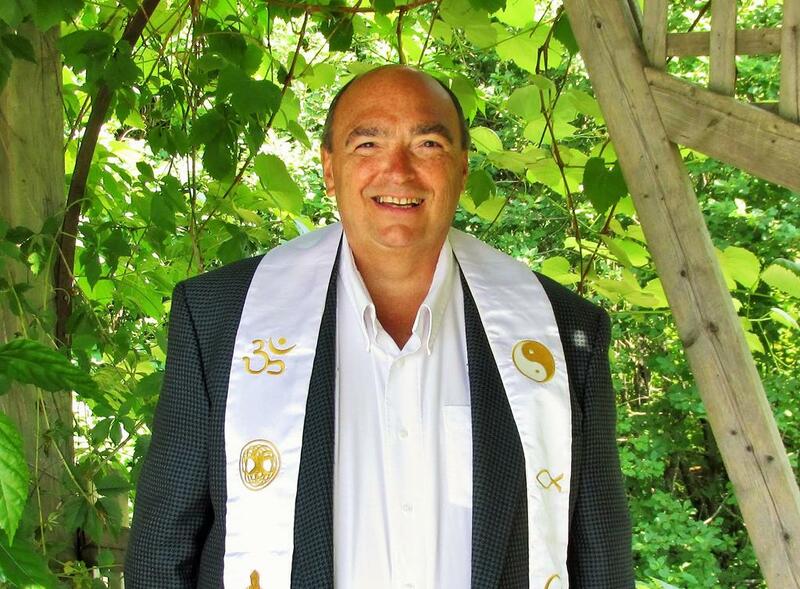 ​"covered by most extended health care plans as a naturopathic consultant"
​Rev Barry King operates Kings’ Wellness and Counselling ( KWC ) which offers personal, family, and spiritual counselling. Our mission is to provide in a safe and respectful environment counselling, healing and spiritual services to those seeking guidance, insight and support on their healing journey. We celebrate all traditions, all orientations, spiritual paths and practices and acknowledge the value of healing the whole person. Rev Barry discusses moving with the current. He explores the power of overcoming fear and allowing Divine Presence to move through you and carry you patiently and comfortably carry you to your greatest good. ​The role of the Spiritual Arts Practitioner specializing in counselling, in addition to professional counselling and helping techniques, is to use various holistic wellness and spiritual techniques that enable the client to understand their challenges from a spiritual perspective. The Registered Spiritual Counsellor (RSPc) infuses the counselling sessions with spiritual principles and techniques, empowering clients to use their own resources. We do not ‘fix’ clients as no fix is needed from a spiritual perspective. An RSPc does not view clients as having problems as all experiences are seen as part of one’s life journey in the physical. Our role is to help bring that life purpose into clearer perception. We do not diagnose, label, treat, or use psychological or psychiatric techniques. When these skills are needed, the Spiritual Counsellor will refer to the appropriate professional. Myth: Spiritual Counsellors tell you what to do - The goal of a Spiritual Counsellor is to allow you to arrive at your own course of action. A Spiritual Counsellor has a number of tools that will empower you to see things from a different and/or broader perspective. Myth: Spiritual Counsellors will focus on everything that is wrong with me and try to fix it - Spiritual Counsellors do not judge or evaluate your condition. They look at all experiences as necessary on your road to spiritual growth and are a part or your spiritual journey in this physical body. The goal is to seek a clearer vision of how some challenging experiences can help us to live our life purpose, resolve karma and create positive karma. ​What makes Spiritual Counselling Different? 1. Life is purposeful - we are here in the physical with a soul purpose and our experiences challenge us to step up to fulfill that purpose. 2. We are Spirit, not our bodies. Life is eternal. 3. God or the Divine is a being of unconditional love. These perceptions impact Spiritual Counsellors’ sessions. As such, seeing the purposefulness of a seemingly unforgiving circumstance is an appropriate goal. For the Spiritual Counsellor, the focus of spiritual sessions is not diagnostic or corrective in nature - as might be the case for other helping professions such as psychology and psychiatry. Sessions are uplifting, constructive, educational and enlightening as to one's purposefulness and how to unfold that awareness. Hence, terms like ‘lack of’ or ‘mistake’ are, to the Spiritual Counsellor, unnecessary at best and disempowering at worst. We need to honour what is, understanding that all things happen for a reason and assist us in fulfilling our life’s purpose. If we cannot honour what is, we cannot see its purposefulness because we cannot see it. So rather than focussing on what is lacking or wrong,we as Spiritual Counsellors focus on what is and how that can channel our energies into fulfilling our life purpose. Often in the helping professions there is an underlying philosophical belief that clients come to those in the helping profession when they are broken, need fixing, are making bad decisions, and find their life out of control. Although this is sometimes true, it is in many cases not. Dealing with a life crisis is a challenge - not a problem. As a spiritual advisor, our task is to point that out. We are here, encased in a physical body to grow spiritually - this requires experiences with life challenges. Spiritual Counsellors are the professionals that will make that normal for clients. Making it normal for clients is what empowers them. They are not broken or damaged. They are dealing with life challenges and simply need advice or an ear from someone with experience and training who can infuse sessions with the awareness of spirituality, life purpose, etc. In point of fact, Spiritual Counsellors do not treat clients or validate their possible perception as being broken, out of control, having shortcomings or failings. We treat them as spiritual beings on a life journey to enrich their soul through many life challenges. Clients do not need to be approached as if they have self-doubt (although sometimes this is true) but rather as working through many confusing options to find a path that enriches their Spirit. Our goal is to change the client’s perception of the issue to a more purposeful and constructive perception. In essence, as Spiritual Counsellors, we bring to the helper table a basic belief that is different from other helping professions. It is this spirituality that we infuse our sessions with that sets us apart and helps define our scope of practice. For example, if we felt that someone had a psychiatric issue, we would refer them to a psychiatrist. Our role is to put the issue in the context of our being ‘spiritual’ beings embarking on a transformational process. It can take time and support for this transformation to unfold. We are here to sort through the life meaning of challenging situations, not fix a broken person. Our mantra in helping must be: Honour their journey.